For what seems like the 105th consecutive transfer window, Lucas Leiva has been just seconds away from departing the club only to pull back from the brink. If the rest pans out as usual, we’ll see him turn in a few splendid performances in autumn, face winter on the sidelines with an injury, and struggle to regain his early-season form when he’s fit again in spring. Yes, you can call us cynical! Reds fans around the world have been having their say on a day of dramatic twists and turns, as Lucas was given a 24-hour deadline to make up his mind only for Galatasaray to announce they were pursuing other targets. We won’t get Dahoud. We won’t get Parades. 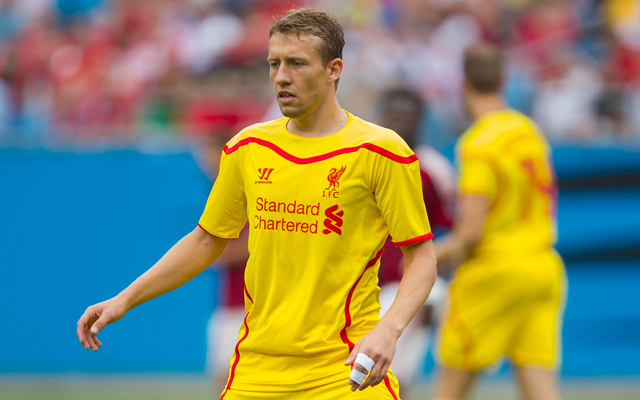 Lucas will retire at Liverpool. We are cursed. Lucas Leiva of Liverpool and John Obi Mikel of Chelsea are those players that no fan fancy them around their football clubs. If.. if, Liverpool sell Benteke and Lucas, and can get a left back, that’s a great window. If they can somehow manage Dahoud, it’s unreal.